UNHP completed 13 °CoolRoofs on top of affordable housing buildings just in time for the hot summer weather. °CoolRoofs provide year-round sealant protection and help buildings stay cooler in the summer. 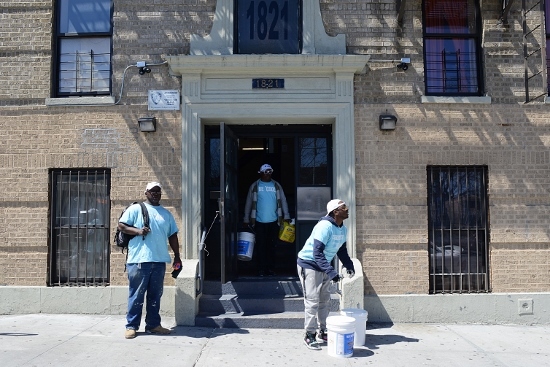 NYC °CoolRoofs is an initiative of NYC Small Business Services managed by Sustainable South Bronx and The HOPE Program. The program supports local job seekers in building high-demand skills while cooling New York City rooftops with a white reflective coating that reduces building energy consumption and citywide carbon emissions. 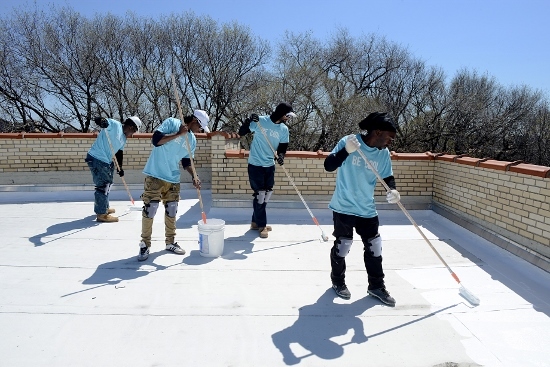 The NYC °CoolRoofs Program aims to coat 1 million square feet of rooftop annually and their partnership with UNHP has helped them make strides toward achieving this goal. The program supports New York City’s “80 X 50” initiative, that strives to have New York City’s greenhouse gas emissions 80% lower by 2050 than in 2005. 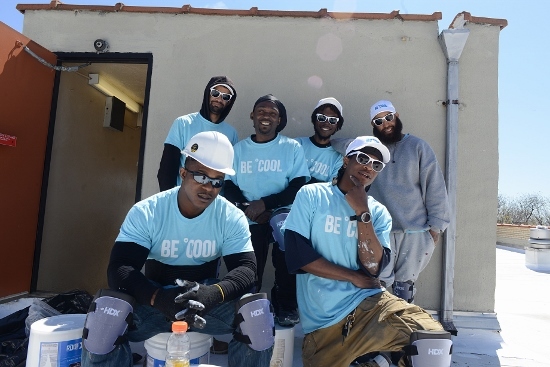 NYC °CoolRoofs program has many positive qualities. The structured, professional program provided all its components; supplies, labor and insurance at no cost to UNHP or the buildings. Participants work in teams to complete cool roof installations for individual buildings and are a part of a 25-person cohort that completes a 2-3 month training program. A NYC °CoolRoof lasts longer than an aluminum coating. A °CoolRoof is 20°F cooler than a roof with an aluminum coating and 30°F cooler than a dark roof. °CoolRoofs can reduce air conditioning costs by 10% to 30% on hot summer days. This is a huge savings when air conditioning accounts for up to 40% of daily electricity use. °CoolRoofs are able to reduce internal building temperatures by up to 30%. Special thanks to the management companies for their assistance with oversight and coordination, including PWB Management, Rosehill Housing Management Company, Dougert Management and Fordham Bedford Housing Corporation. Fordham Bedford Housing Corporation, the largest community-based housing developer in NYC, manages its own extensive portfolio of affordable housing projects, including the large West Farms Square Complex which also received white roofs as part of this initiative. UNHP and FBHC also install energy efficient air conditioners in certain rehabilitation and new construction projects for the elderly and where we cover the electricity costs. The Cool Roofs and energy efficient, properly installed, air conditioners reduce overall energy consumption and provide a healthier more comfortable living conditions for tenants. 1821 University Avenue, one of the many buildings that has an newly installed NYC °CoolRoof!